Come check out our show tonite at the Bright Side Gallery! 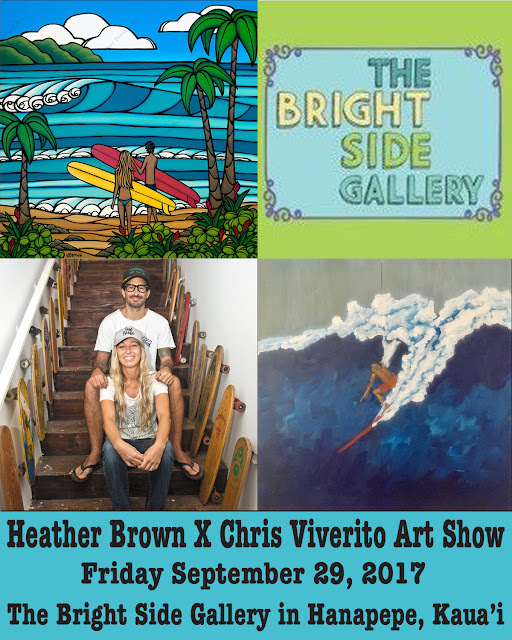 My husband and fellow artist, Chris Viverito ( HighTideSurfArt.com ) are having a split show at a very cool little gallery not he southwest side of the Garden Island of Kauai! Please come visit, check out some new art, some old favorites and have a fun ALOHA FRIDAY with us!